Epic prizes keep on coming! On Day 12, we're giving you the chance to win some top-quality gaming gear from Kingston. We have a HyperX Alloy keyboard, Fury S Pro gaming mouse pad, Cloud Stinger headset, and Pulsefire FPS mouse. A fantastic collection of hardware, and we have not one but two of these bundles up for grabs! The competition winner will be picked at random from all eligible entries that arrive by 09:00 London time on the closing date, December 29, 2017. 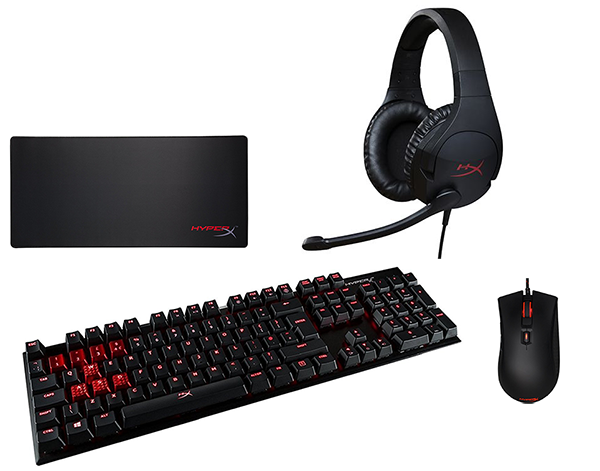 The prizes are one of two Kingston gaming bundles comprising a HyperX Alloy keyboard, Fury S Pro gaming mouse pad, Cloud Stinger headset, and Pulsefire FPS mouse.